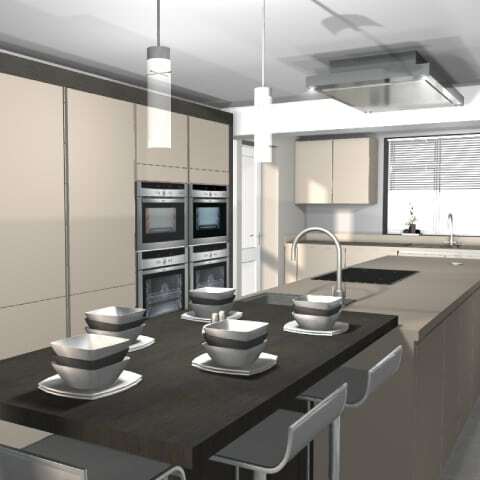 Modern design and fantastic functionality came together to create the perfect family kitchen. 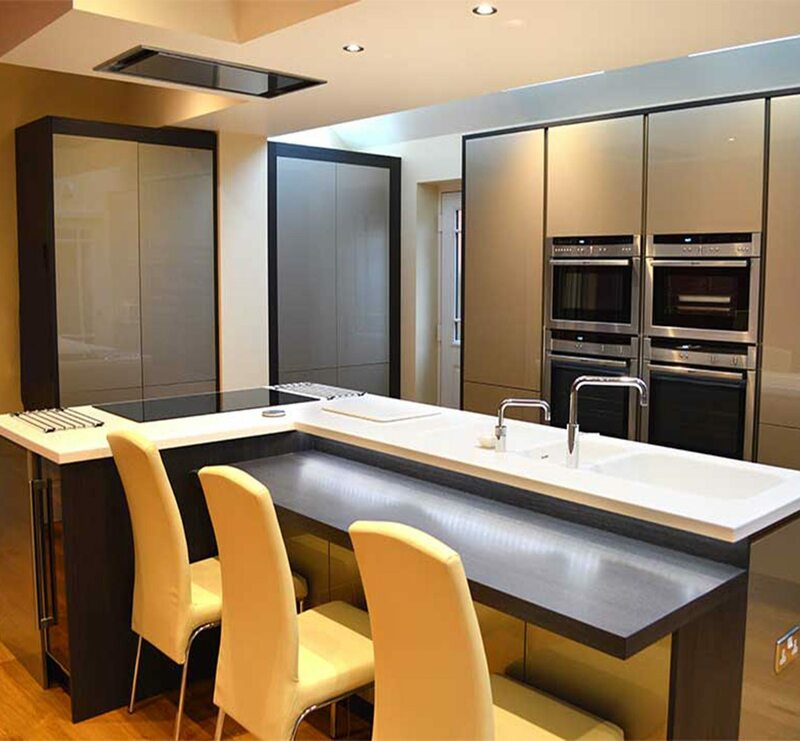 Keen to update and renovate their home, the O’Dohertys from Wilmslow began hunting for their perfect kitchen. There was something about John Crosby’s design that set it apart from the rest. He showed the O’Dohertys how they could make the most of the kitchen space, which had recently increased due to a garage conversion. “We could really see it working in our home, and it was the only design to tick all the boxes – so we had to say yes!” says Mrs O’Doherty. With help and guidance from John, their designer, the couple opted for a modern German design in cashmere. 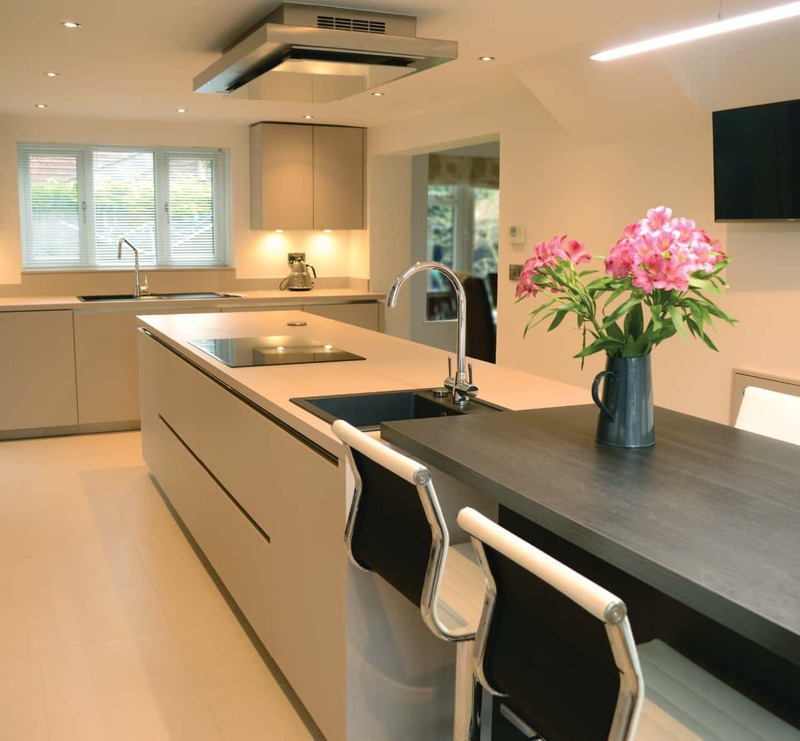 40mm Cashmere Stone structure laminate worktops were fitted which perfectly compliment the cashmere doors and a terra oak table. “It all fits with the house so it made sense to opt for this style and colour scheme,” explains Mrs O’Doherty from Wilmslow. While it was important for the kitchen to look aesthetically pleasing, the couple were also keen for more cupboard space. 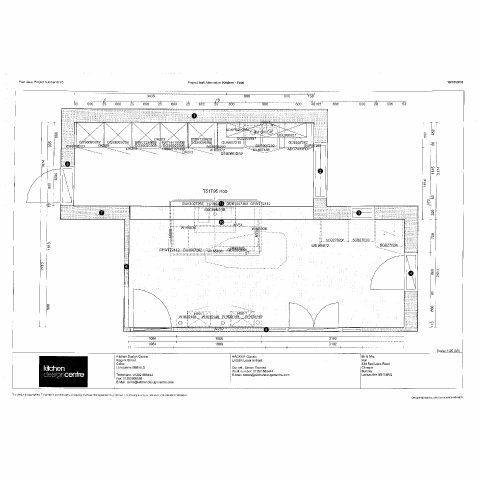 John was able to integrate this without making the space look cluttered. 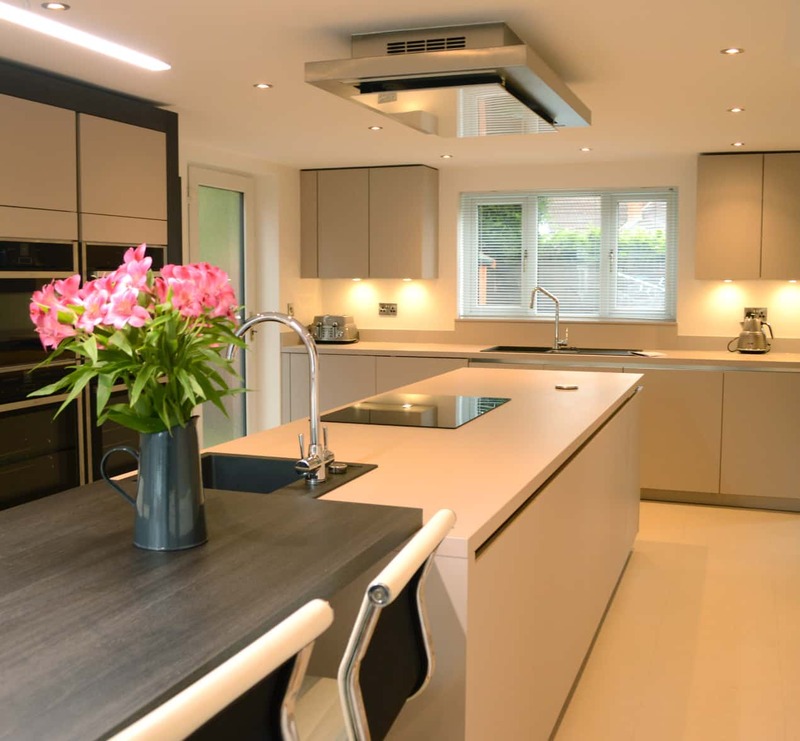 For Mrs O’Doherty, the main focal point of John’s design was the long, central island, used for additional storage and kitchen prep. 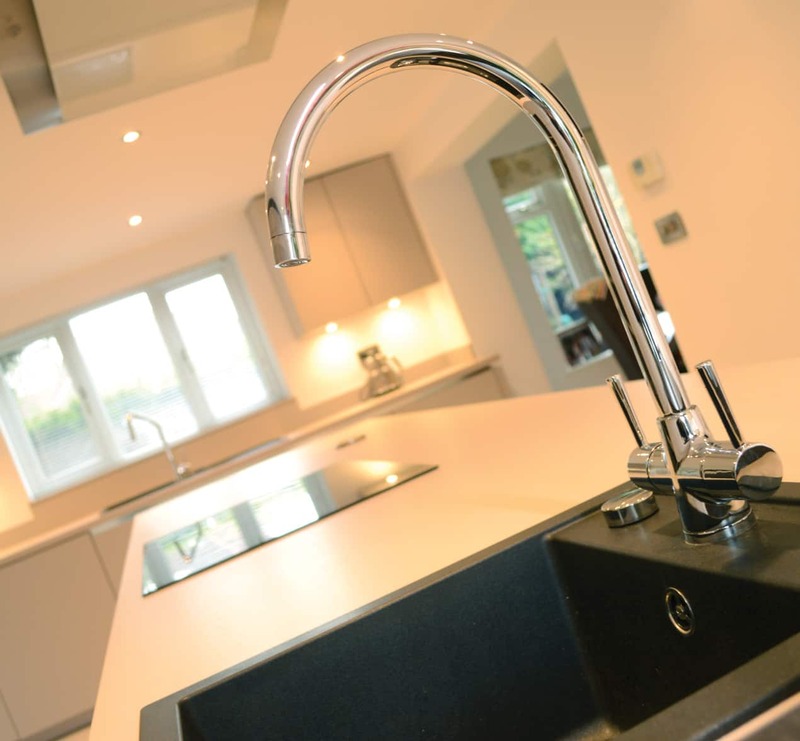 “I love it – it’s such a fantastic feature of our new kitchen,” she says. 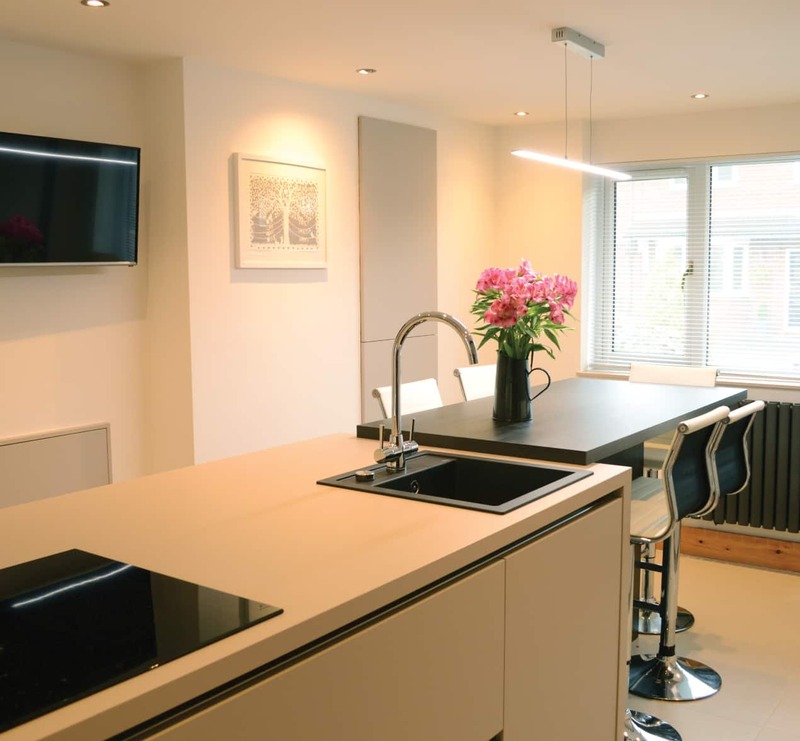 Other innovative features of the kitchen include the new Faber Skypad Ceiling Extractor, pop up socket, and built in TV area – ideal for the O’Doherty’s three children. Mr and Mrs O’Doherty from Wilmslow also took the plunge with a whole host of new Neff appliances – opting for not one but four Neff ovens! Their new Neff appliances include two Slide & Hide ovens, the Neff Steam Oven, Neff Combination Oven a Neff Induction Hob and finally completed by a Neff Dishwasher. 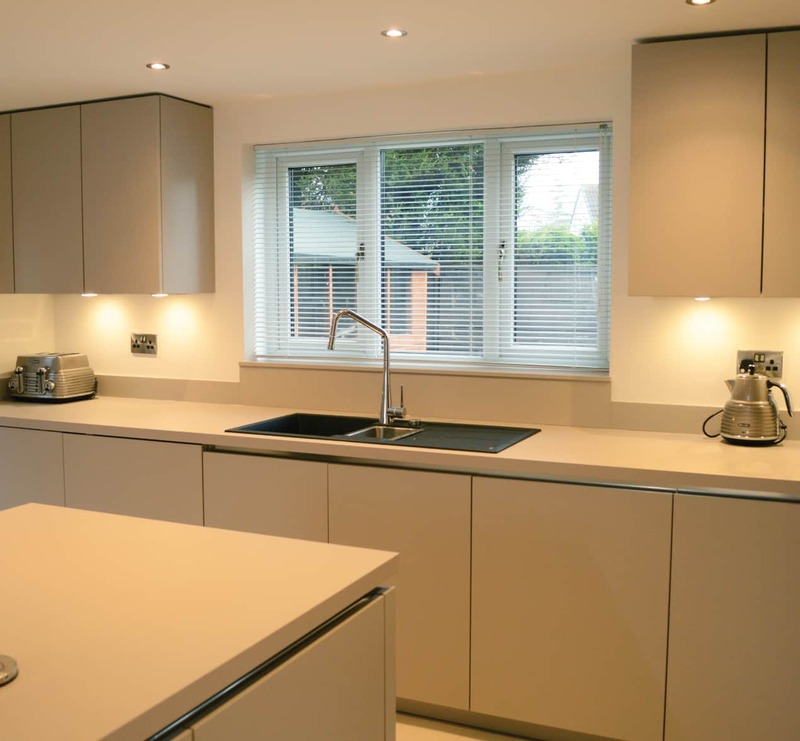 "Kitchen Design Centre were so professional and helpful – we are very satisfied with our brand new kitchen"
"With lots of room to play with we were able to integrate lots of storage in the O’Doherty’s kitchen, while still keeping the design modern and clutter free. 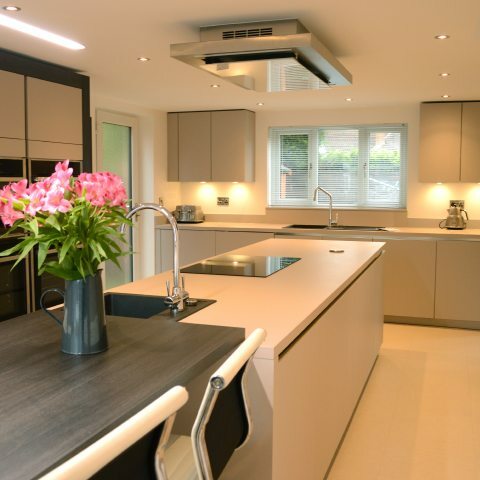 The cashmere colour scheme was perfect for keeping the room bright and airy, while giving the kitchen timeless appeal. 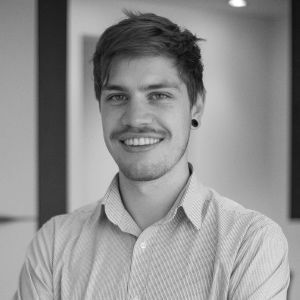 It was a really enjoyable project to work on."